Our solar system consists of all the objects in our galaxy, the Milky Way. It includes the sun (the star around which the other objects travel); the planets Mercury, Venus, Earth, Mars, Jupiter, Saturn, Uranus, and Neptune; and the dwarf planet, Pluto. It also includes the satellites of the planets (such as Earth's moon); numerous comets, asteroids, and meteoroids; and the interplanetary medium. The interplanetary medium is the material which fills the solar system. It's filled with electromagnetic radiation, hot plasma, dust particles, and more. Our solar system is divided into the inner and outer solar systems. The inner solar system includes Earth, Venus, and Mercury the three planets closest to the sun. The outer solar system includes the remaining planets and the asteroid belt, which lies between Jupiter and Mars. The asteroid belt is made up of thousands of bits of matter, some so large that they have their own moons! If you are a parent or teacher who wants to help your students understand more about the various aspects of the solar system, this set of free printables can help.​ In addition to teaching children more about our solar system, they will also help students expand their vocabulary and practice their drawing and writing skills. 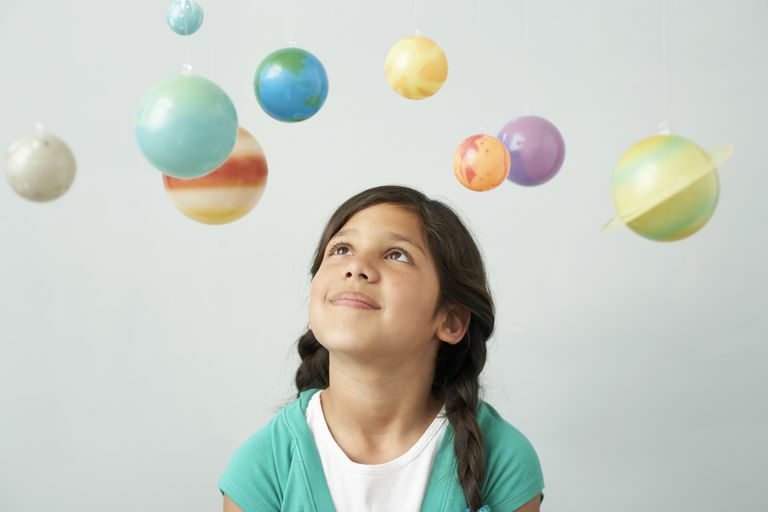 Begin introducing your students to vocabulary associated with the solar system. Print both vocabulary sheets and instruct students to use a dictionary or the Internet to define each term. Students will write each word from the word bank on the blank line next to its correct definition. Students can review solar system vocabulary with this fun word search. Each term from the word bank can be found among the jumbled letters in the puzzle. If your student doesn't remember the meaning of a word, he can refer to his completed vocabulary sheets for help. He may also use a dictionary or the Internet to look up any terms that were not introduced on the vocabulary sheets. This crossword puzzle helps students learn more about the planets, satellites, and other objects that make up our solar system. Each clue describes a term found in the word bank. Match each clue to its term to correctly complete the puzzle. Use a dictionary, the Internet, or resources from your library as needed. Challenge your students to show what they know about our solar system with these two multiple choice worksheets. For each description, students will select the correct answer from the four multiple choice options. Let your students practice their alphabetizing skills while simultaneously reviewing terms associated with the solar system. Students will write each word from the word bank in correct alphabetical order on the blank lines provided. Print the pdf: Solar System Coloring Page - Telescope Page and color the picture. Hans Lippershey, a Dutch eyeglass maker, was the first person to apply for a patent for a telescope in 1608. In 1609, Galileo Galilei heard about the device and created his own, improving on the original idea. Galileo was the first to use the telescope to study the skies. He discovered Jupiter's four largest moons and was able to make out some of the physical features of Earth's moon. Students may use this draw and write page to complete a drawing depicting something they've learned about the solar system. Then, they can use the blank lines to practice their handwriting and composition skills by writing about their drawing. Students can use this solar system theme paper to write about the most interesting thing they learned about the solar system or write a poem or story about the planets or solar system. Students can color this solar system coloring page just for fun or use it as a quiet activity during read-aloud time.